Become a member and enjoy all the incredible amenities we have to offer. Grab a post-round meal or stop by to catch the game and have a cold beer. 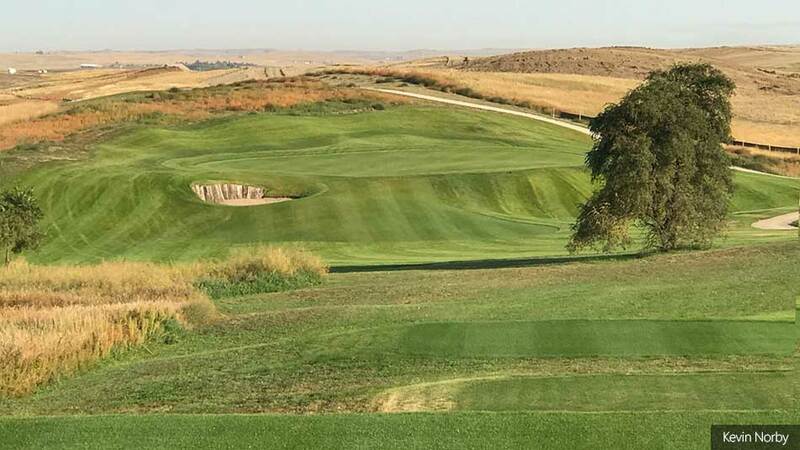 Spectacular Golf, first-class PGA instruction, a terrific tournament schedule, and joys of prairie golf are just a few of the reasons that people choose Fox Hills Golf Course. As one of the best layouts in the region, Fox Hills is a perfect stop. We are in the process of building a BRAND-NEW 18 hole Championship golf course. Beginning in the Spring of 2019, Fox Hills Golf Course will have a BRAND-NEW 12 holes of golf ready for play! 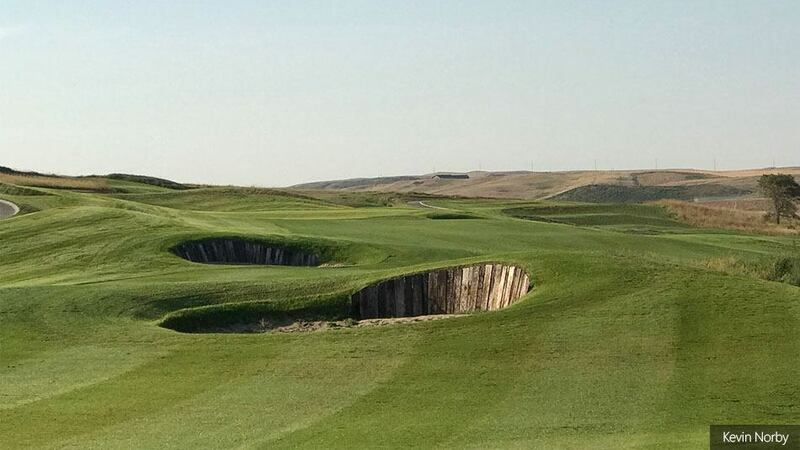 These new holes were open for a preview during 2018, and have amazing reviews! Please click here for more information regarding the new construction at Fox Hills Golf Course. Click here to see more details regarding the 2018 Sneak Peak as well as the full press release. And, while you're here, take this opportunity to visit our Facebook page to check out the steady flow of activity that surrounds our facility. There's always something of interest going on that is sure to peak your curiosity and participate in. FOX HILLS and the RUSTY PUTTER are not just golf. WE ARE YOUR COMMUNITY, YOUR COURSE, YOUR PUBLIC GATHERING PLACE! CHECK US OUT ON FACEBOOK! Click here. As a Member of Fox Hills you will be able to enjoy our pristine golf course on your schedule, as tee times are usually available, and you can play a full round or a few holes. We are also happy to offer more than just a membership, as each member is welcomed into the Fox Hills Family. Members enjoy a great social calendar, golf tournament schedule, leagues, and other great events throughout the year. Click the following link for more information on our membership options. The Golf Shop is stocked with all the latest in equipment, clothing, and accessories from the top vendors in the game. World Class Golf Instruction That Will Quickly Slash Strokes From Your Game! If you want to hit it further, hit it straighter, sink more putts and enjoy the game more, you couldn’t be in better hands than with our team at Fox Hills. Choose from a wide range of group, private and custom instruction programs all designed to rapidly improve your game and enhance your enjoyment. Spectacular Special Events, Weddings & Banquets, and fine dining in Watford City! Have a special event coming up in your life, birthday, anniversary, retirement or celebration? Then we have the perfect venue, food and professional planners to make sure it’s an event everyone remembers for all the right reasons! Fairytale Weddings Everything you need, can be arranged at Fox Hills Golf Course including rehearsal dinner, bachelor golf outing, bridal shower, Sunday brunch, gift opening and accommodations. We can also provide you with a list of vendors for special requests, florists and wedding cakes. Call us at 701-842-2074 for more information!